HLGU’s annual Trojan Trek will be held on Saturday, October 27. Sponsored by HLGU’s Cross Country and Track & Field teams, the 5k Run/Walk begins at 9 am at the Roland Fine Arts Center. 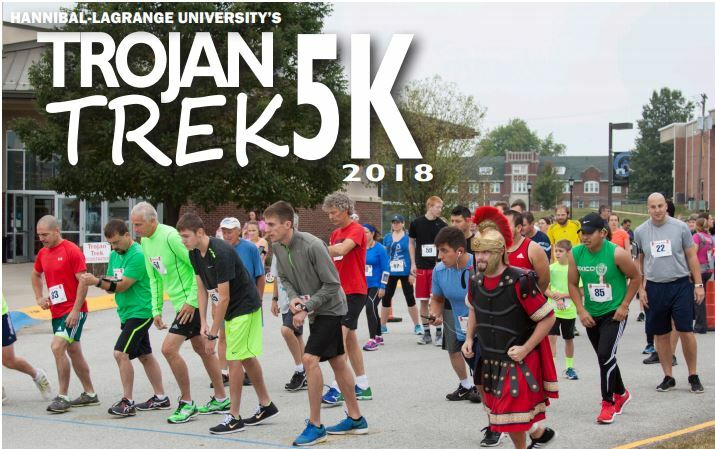 The Trojan Trek course will differ from past years. This year, the trek will be a grass course that weaves through HLGU’s picturesque front lawn. Plaques will be given to the overall male and female, overall male and female HLGU alumni, and overall male and female in the masters division, aged 40+. Additionally, the top two runners in each age group will receive medals. Proceeds from the event will help offset student expenses for the cross country and track and field teams. The cost to register is $25, $15 for HLGU alumni, students, faculty, and staff, or $75 for families of five. All those registered before October 12, are guaranteed a t-shirt. On and after October 12, the registration fee increases to $30. For more information regarding the Trojan Trek, email trojantrek@hlg.edu.